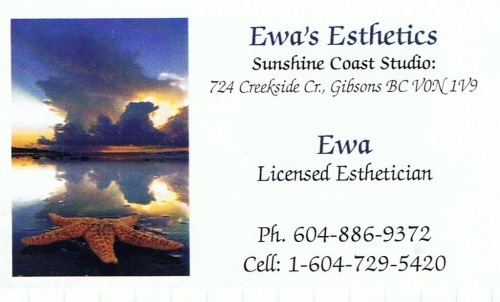 This is a Sunshine Coast BC directory of Gibsons Estheticians and Spa Services. All located in the town of Gibsons BC. Estheticians cover a variety of services and often do other spa & wellness treatments as well. Be sure to ask if the treatment you are looking for is handled by the esthetician that you contact. If you are looking for an esthetician or spa service in another Sunshine Coast BC community, check the other Service Directories from the Sunshine Coast homepage.